It’s St Patrick’s Day, so it’s time to have some Irish Whiskey! 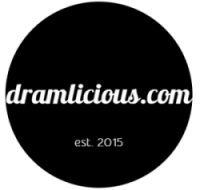 Last year I reviewed three single malts and one blend (all from Bushmills), so I think this year we should have some Single Pot Still Whiskeys. 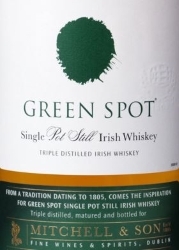 The Spot brand is produced by the Middleton Distillery for Dublin-based wine merchant Mitchell & Son, making it one of the few “whisky bonder brands” still available today. Back in the old days, the Mitchells send their empty wine barrels to Jameson’s Bow Street Distillery, where they were filled with new make and were then sent back to mature in the merchant’s cellars. This changed when the Midleton Distillery was build. Since then, the whiskey is matured by the distillery in its own casks, but Mitchell & Sons still have sole rights to develop, market and sell the whiskey. As for the brand name itself, it was actually inspired by Mitchell & Son’s practice of marking their barrels with a spot of paint to determine the age potential of the whiskey: blue for 8 years, green for 10, yellow for 12 and red for 15 years. The Green Spot was their most popular one. The current Green Spot is slightly younger than the original. I read it’s between 7 and 9 years old, but don’t quote me on that. Kinda tight-ish but pleasant. A nice, fruity sweetness of bananas, sugared pineapples and apple sauce with a tiny bit of cinnamon, together with hints of vanilla and heather honey. Developing notes of sweet barley, wet leaves and sourdough, followed by something fishy… no, literally, it smells like fish… I don’t know… maybe oyster sauce? Oily but pretty thin. Dried citrus peels, milk chocolate and rhubarb, alongside sweet barley and cereals. A whiff of spices in the distant background. Becomes more bitter and oaky towards the end. Medium. Lemon peels, milk chocolate and some herbal hints. What a snoozefest! Seriously, this is one bland expression, there is really nothing too exciting about it. Maybe ok for hot summer days, but not for much else.